Chief Executive CY Leung, Chief Secretary Carrie Lam and Secretary for Security TK Lai opened the Fire & Ambulance Services Academy and the Metropolitan Symposium on Emergency Response in Tseung Kwan O today. It is our greatest pleasure to join the opening ceremony as the architectural lead consultant for the project. 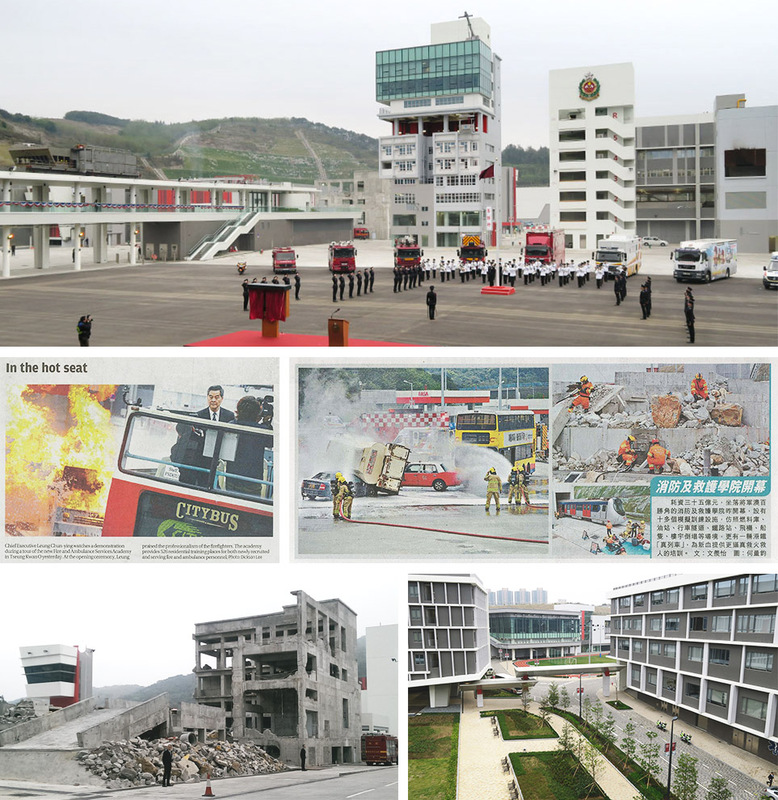 The new $3.5 Billion Academy with a total gross floor area of 63,000 square meters on a 15-hectare site is equipped with a vast number of simulation training facilities offering a wide range of rescue training in various settings. In addition, the Fire Services Education Centre inside the Academy aims to promote and disseminate knowledge on fire protection, fire evacuation and first aid through its interactive multimedia information facilities, such as fire evacuation and fire-fighting simulation areas.